Tower Display Case - Free Shipping! In Stock! 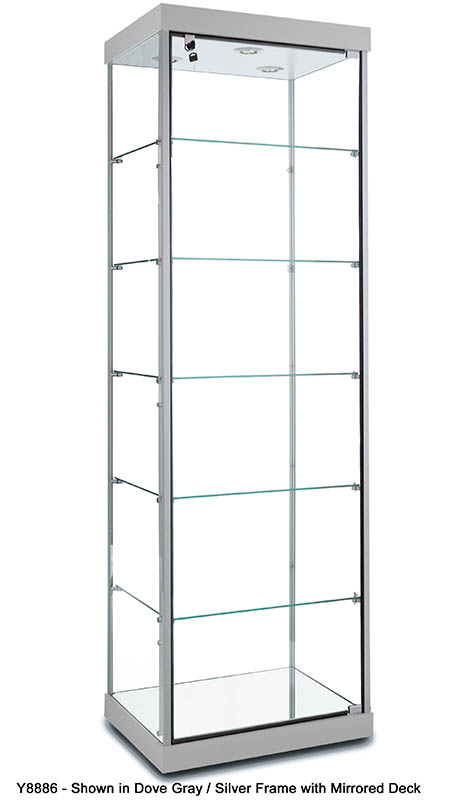 Our Tower 4-Sided Display Case is popular in schools and museums. With views on all 4 sides, this display case can be centered in a room for optimum viewing. Ideal for displays of small items such as trophies, plaques and small artifacts. Ships fully assembled! Shpg. wt. 257 lbs. PRICE INCLUDES SHIPPING! (Truck shipment - See Terms & Conditions). Please allow 3-4 weeks for delivery. 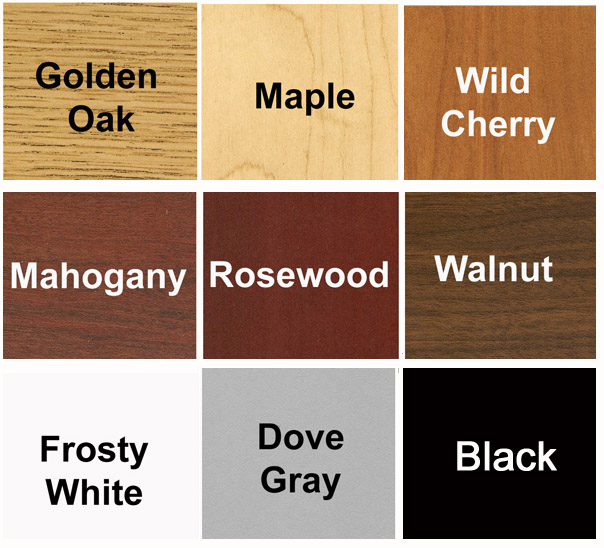 * Choose from 9 laminate colors for top canopy and bottom of display case and 3 frame finishes. * Three LED Lights in canopy. * Five 1/4" thick adjustable glass shelves. * Laminate Deck Standard. Mirrored Deck available at an upcharge. * Locking hinged door (security lock). * Electrical cord with switch.